Hello lovelies! 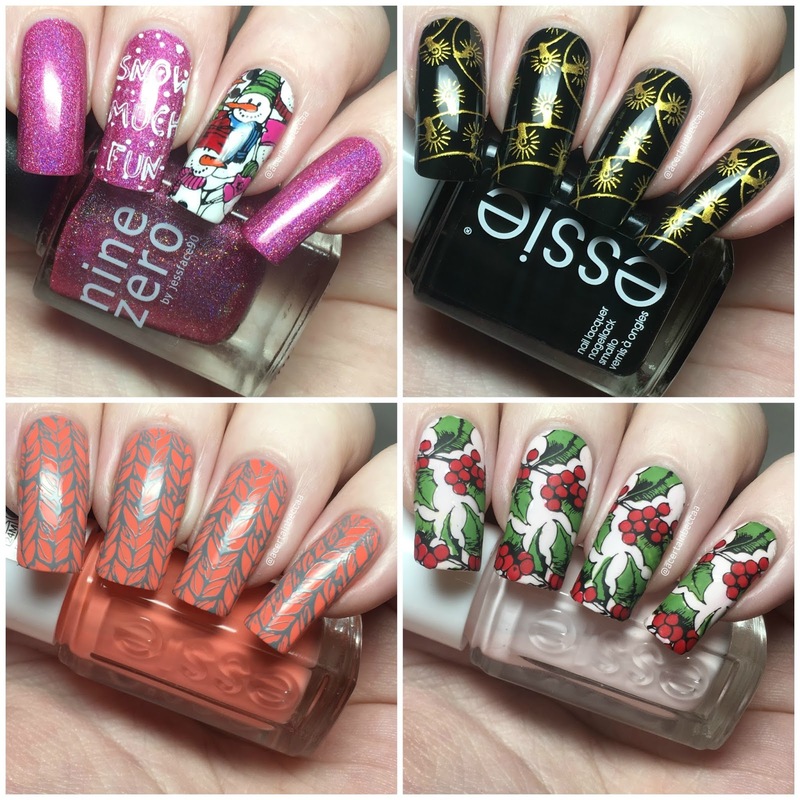 I'm finally back with some more festive nail art! All four of the manis in todays post have been created using Creative Shop stamping plate 36, which I recently picked up in a friend's destash. I love Creative Shop plates, and I love Christmas, so this plate was a no brainer for me! Read on to see each mani in full and for more info. 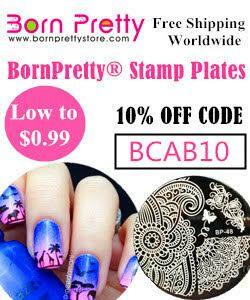 Before I get into my nail art, here's a quick look at the plate itself. It is full of wintery and Christmassy images. For my first mani, I used the image packed full of snowmen to make a decal. I stamped with Born Pretty Store black, and coloured with Essie 'Roaarrrrange', OPI 'Big Apple Red' and 'I'm Sooo Swamped', and Models Own 'Purple Bandana' and 'Blue Skies'. 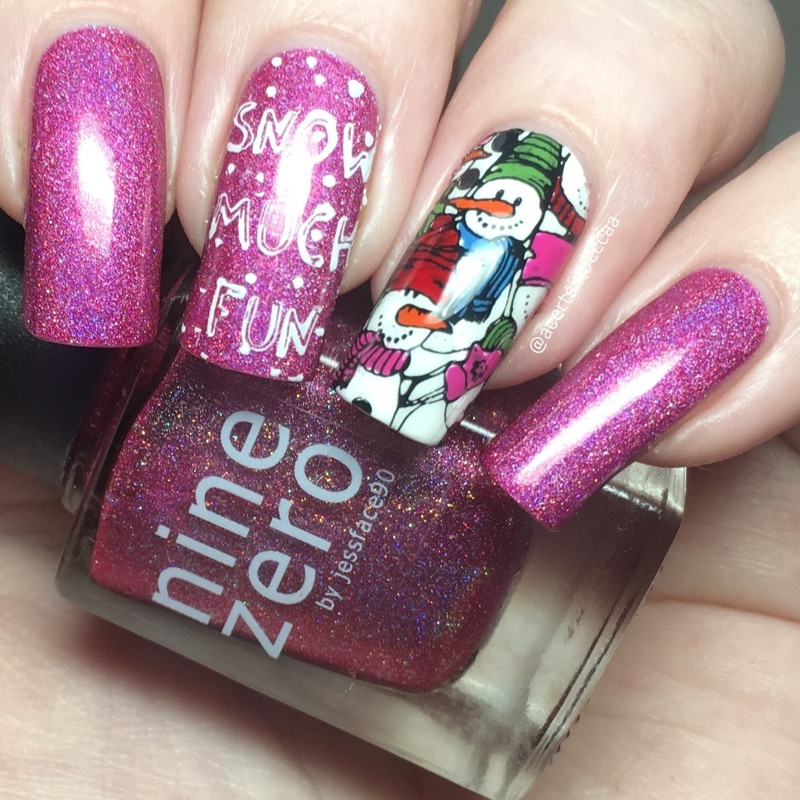 I then stamped the 'Snow Much Fun' wording onto my middle nail in white. My base polish is Nine Zero Lacquer 'November 2016' (swatched here). Next, I used the string of lights image. 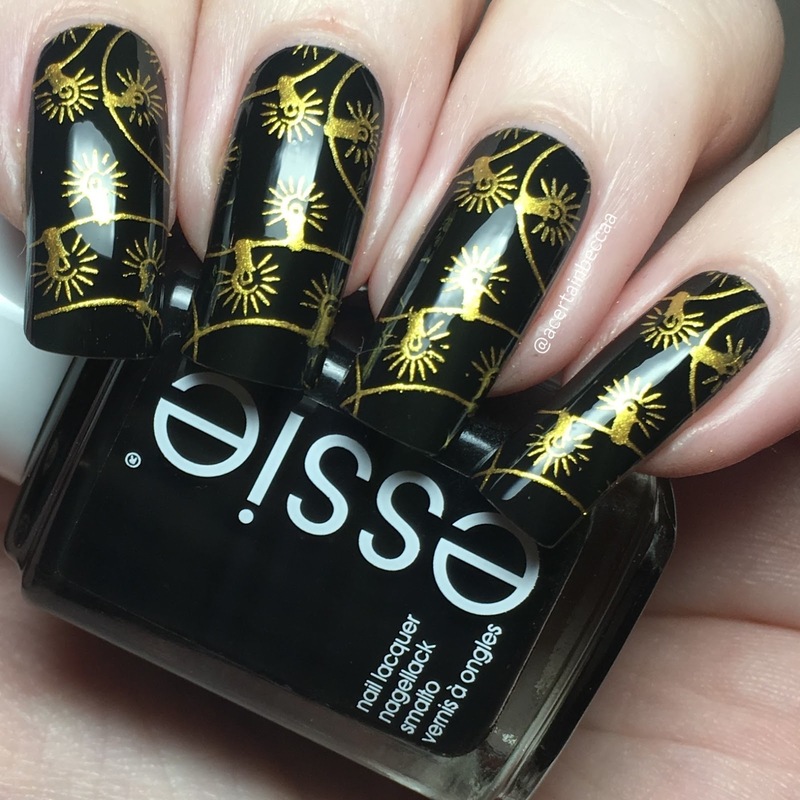 I stamped it onto all of my nails using a Born Pretty Store gold stamping polish, over a base of Essie 'Licorice' (swatched here). This mani makes me think of late night car journeys in December, admiring everyones Christmas lights in the dark. Next, I used the knitted jumper pattern. 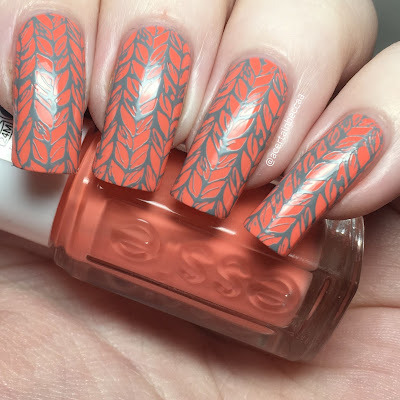 I stamped over a base of Essie 'Tart Deco' (swatched here) using Painted Polish 'Stamped in Clay'. I wasn't sure how well this colour combination would work, but I do quite like the end result! Lastly, I made decals using the holly image. This was one of the first ones on the plate to jump out at me. I stamped the image in black before colouring in the leaves with OPI 'I'm Sooo Swamped', and the holly berries with OPI 'Big Apple Red'. I applied my decals over a base of Essie 'Fiji'. What do you think? I've been absolutely loving this plate! 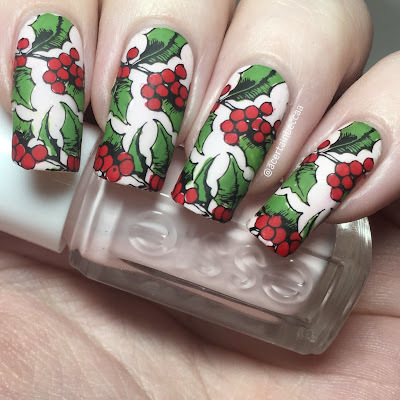 It is perfect for this time of year, and really works well with reverse stamping and decals. I also really appreciate how the creative shop plates have much larger images compared to some other brands. I never have to worry about my nails being too long.